Start your collective walking tour admiring the Massimo Theatre (external view), then explore a suggestive and lively open-air market, a place with strong Arab influences, resembling a souk, with picturesque stands of fresh fish, cheeses, fruits and vegetables. During the tour you will have the opportunity to observe local people in their daily activities and to savor foods that a real Sicilian people love to eat! 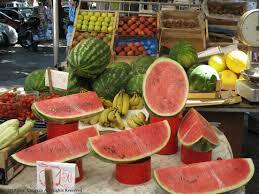 Tasting of typical street food is included. The walking tour through the ancient center of Palermo is around 3-4 hours and you will visit several monuments including Piazza Pretoria and the Cathedral. At the end of this tour you will reach Monreale by taxi for a stop to visit the Dome (Admission fee: not included), a wonderful example of the Arab-Norman art and architecture. Launched in 1174 by William II, the Dome represents scenes from the Old and New Testaments all in golden mosaics. Later, return to Palermo by taxi. Up to 3 people this tour will be operated with English speaking Tour Leader. 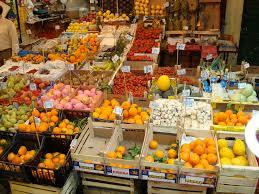 The visit to Monreale will be independent. 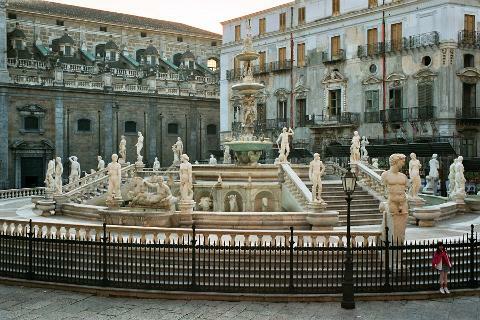 Transportation to Monreale and back to Palermo will be provided by taxi and Italian speaking Driver. 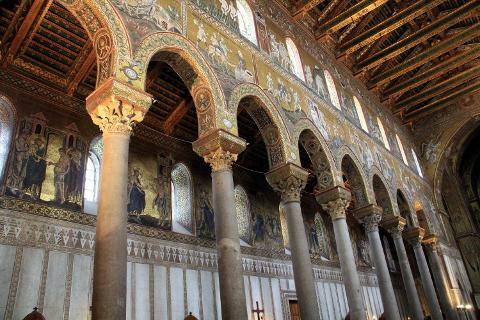 From 4 people in your tour a guided tour of Monreale Dome is included. Transportation to Monreale and back to Palermo will be provided by taxi and Italian speaking Driver. 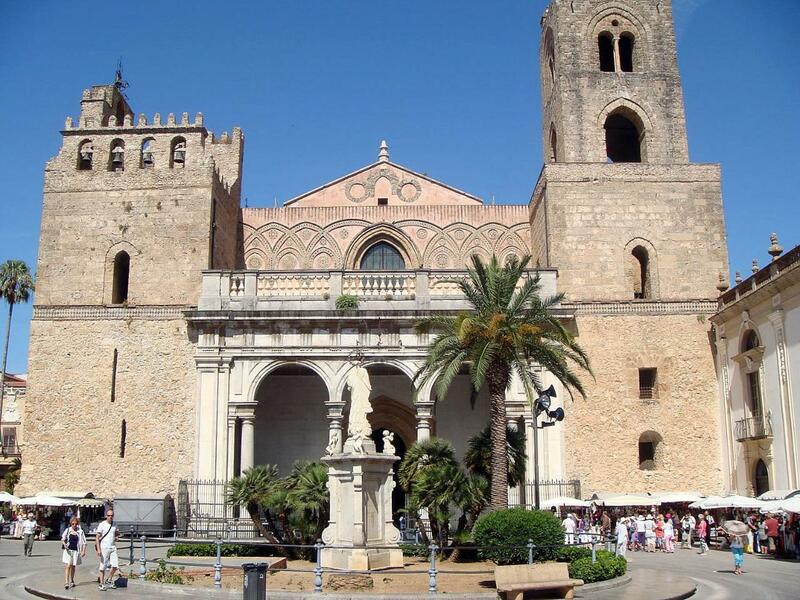 -Licensed tourist guide at Monreale Dome if less than 4 people on the tour. This tour will be operated with minimum 2 People. It is possible that the tour will be cancelled after confirmation if there are not enough passengers confirmed. In the event of this occurring, you will be offered an alternative or full refund.